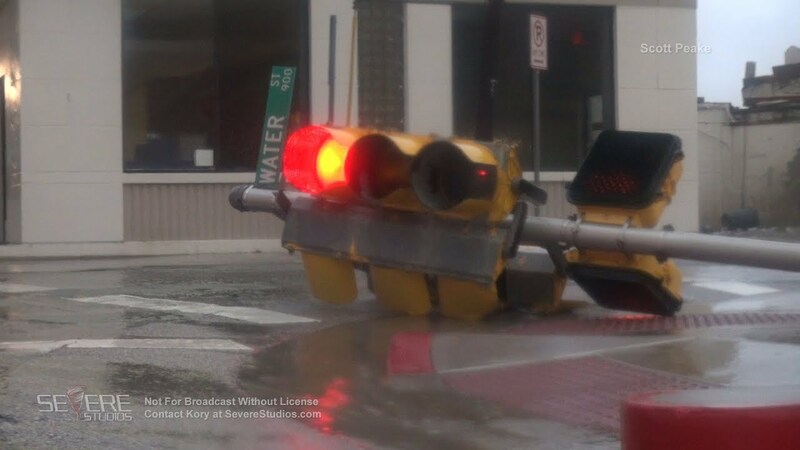 Category 4 Hurricane Harvey makes a hit on Corpus Christi, TX with damage to traffic lights, roofs, signs, and trees on Friday, August 25, 2017. ***Not for broadcast without a license. Contact Kory here.